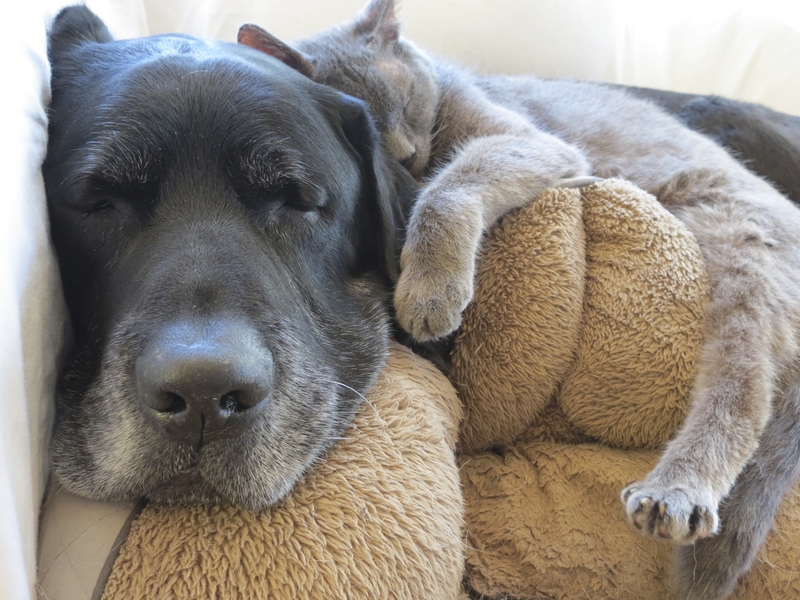 Join Young at Heart for the biggest party of the year dedication to senior pets and the people who love them! This year's Silver Paws theme is Under the Stars, and your ticket to this magical night includes a 5-course sit-down dinner, live music, open bar, raffles, and incredible live and silent auctions, all to benefit homeless senior pets! Tickets on sale Spring 2016. Exclusive Sponsorships currently on sale. Donations for the live and silent auction now being accepted. Email Natalina@adoptaseniorpet.com or call 847-529-2025. 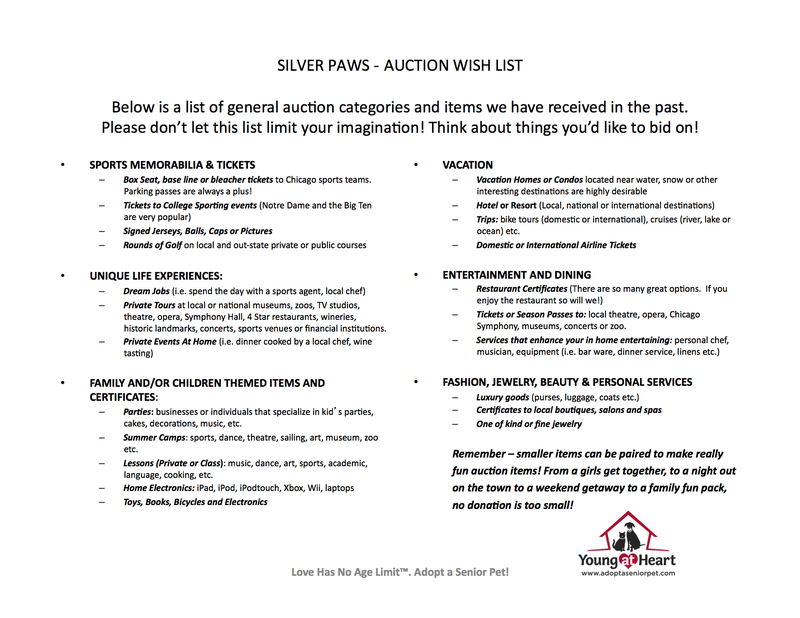 Check out our auction wishlist here!